Local law firms have hiked starting salaries yet again, with top payers in the industry now offering newly qualified lawyers up to $7,000 a month. The new pay scales may seem godsent to fresh lawyers and law undergraduates, but the longer term implications for Singapore's legal industry - should the trend continue - are less glorious. The Big Four law firms are now offering starting pay packages of between $5,800 and $6,400, with some boutique law firms - such as TSMP Law Corporation - offering up to $7,000. Despite still falling short of the five-figure salaries offered by several foreign law firms here, the new pay packages are significantly up from the $5,200 offered by local firms in 2010 - the last time pay hikes in the industry made the headlines. Commenting on the latest increases, Law Minister K Shanmugam told The Business Times that "competition for good young lawyers has intensified", due to the steps taken in the past few years to make Singapore a leading international legal centre, which has also "increased work for some Singapore law firms". The latest round of pay increases is believed to have been started by Big Four firm Allen & Gledhill (A&G), which has raised its starting pay to $5,800 for the first five months, and $6,800 for the following 12 months, industry sources said. This monthly figure is believed to include a frontloading of some of the bonuses that used to be paid only at the end of year. When contacted, A&G's chairman and senior partner Lucien Wong said he was unable to go into details, but confirmed that the firm's starting salary is now $5,800. Drew & Napier, another of Singapore's largest firms, now offers the same starting pay package as A&G. Drew & Napier CEO Senior Counsel Davinder Singh said: "Our salaries match the highest in the market for Singapore law firms. This is to ensure that we continue to draw the best and the most talented. We also give highly attractive year-end bonuses to reward our lawyers who invariably do sterling work." Rajah & Tann (R&T), Singapore's largest law firm, is believed to be offering $6,400 as its starting salary for the first 17 months - which would make its compensation package ($108,800) similar to A&G's ($110,600) over a 17-month period. Newly called lawyers typically join law firms in August, so a 17-month package takes them all the way to December of the following year. Senior Counsel Lee Eng Beng, managing partner of R&T, said: "There is no question that we have to be competitive in terms of starting pay so that, together with the other less tangible positives that we offer, we can continue to attract the best lawyers to join us. But talent recruitment must be followed up by equally effective talent management and retention." The other Big Four firm, WongPartnership - whose starting salaries were believed to have led the market in recent years - declined to go into detail about its pay packages. 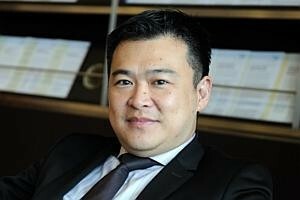 Rachel Eng, its joint managing partner, however, said: "We do aim to be a top-paying Singapore law firm, but we prefer to look at the overall compensation package offered (as opposed to just a monthly figure)." Industry sources said WongPartnership's starting salary is likely to be around the $6,000 mark - a number which Ms Eng said she would prefer not to comment on. Fighting to keep pace with the market leaders are the mid-tier and boutique law firms, who want their share of the best talent from each newly qualified cohort. Stamford Law, founded by one of the best M&A lawyers in town, Lee Suet Fern, is believed to have kept its pay scale competitive. The firm offers a full suite of corporate and commercial law capabilities with more than 90 lawyers. Mrs Lee declined to go into specifics on her firm's starting salaries, but she said: "We have, in terms of monthly pay, matched salaries of our peer firms - including A&G - and the market is well aware that we generally are more generous in terms of year-end bonuses." Boutique law firm TSMP Law Corporation - which offers corporate and commercial law, as well as dispute resolution and transactional law capabilities with some 50 lawyers - is believed to be one of the most generous local pay masters. "We are upping our starting pay to $7,000 per month, which increases at the end of about five months to $7,500. In line with market practice, more of the bonus has been built into the monthly salary," said Stefanie Yuen Thio, joint managing director of TSMP. "We are a boutique firm doing the specialised and complex 'Wall Street' work that the big local firms do, so we compete with these same firms for top talent," Ms Thio added. These new pay scales are likely to act as a beacon for all aspiring lawyers - and even non-aspiring ones - but experienced professionals caution against flocking to the industry simply because of the money. A higher starting pay also means higher expectations, and a shorter runway for new lawyers. Those who fail to meet the expectations that come with a bigger pay package could well be cut from the firm. Many are also likely to be judged at the five-month mark - before the next jump in salary - much earlier than they were before. Aspiring lawyers should also be aware of the fact that recent changes announced by the Law Ministry - such as the setting-up of a new law school, an increased intake at one current law school, and the recognising of double-degree programmes offered by certain overseas universities - would mean an increased number of lawyers entering the workforce. The prestigious firms will be able to absorb only a fraction of the new entrants. There is also the danger that, if salaries keep going up, legal professionals here could be pricing themselves out of a job. One professional told BT: "A newly qualified lawyer in Kuala Lumpur, who lands a job in a big firm there, gets about RM3,000 (S$1,203) to RM3,500 a month - about a fifth what a new Singapore lawyer gets! And many KL lawyers are well qualified too, having also been trained in leading universities in the United Kingdom and Australia."